In the spring of 2012, Lisa Boulton was designing her own line of jewelry, the mother of three grown sons, starting a new career as a health care provider … and a breast cancer survivor. At the end of that same year, she had added another accomplishment: published author. 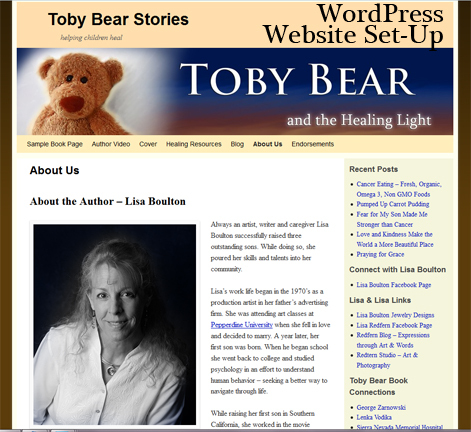 “When I first met with Lisa (Redfern), I had written the Toby Bear story and had created a series of pencil sketches. I loved the digital paintings of children that I’d seen in Redfern’s studio, so I thought I would ask if she’d work on the project with me,” says Boulton. 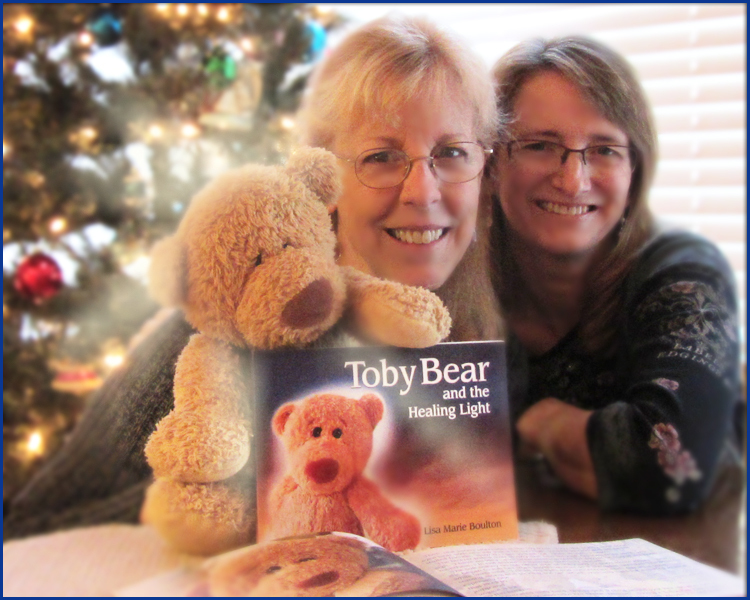 Lisa Boulton says that the Toby Bear project is her “passion” and the culmination of her life experiences: An opportunity to comfort and care for children and to help them build a strong sense of self-awareness with positive thinking techniques. 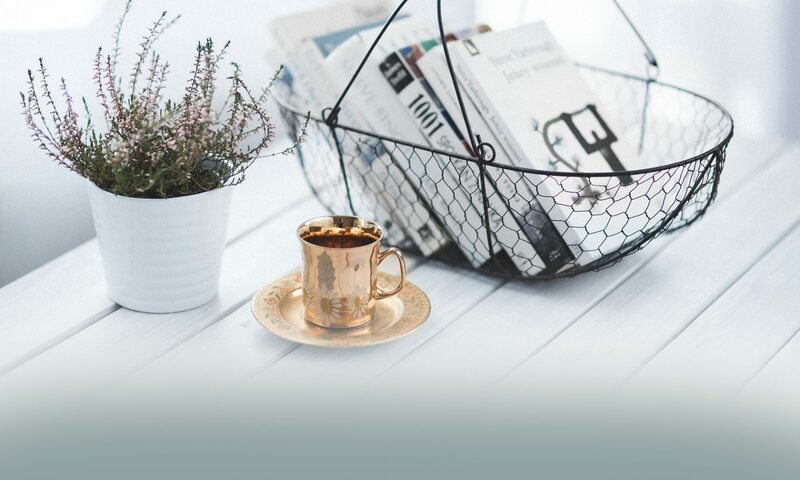 Redfern too thought that the project would be a excellent vehicle to express her own amalgamation of professional skills and that it could add a new dimension (ePublishing) to her business. Throughout the summer, the women worked together to execute their production schedule that involved finding models, scheduling photo shoots, creating art pieces, manuscript editing, shooting and editing their first Toby Bear web video. 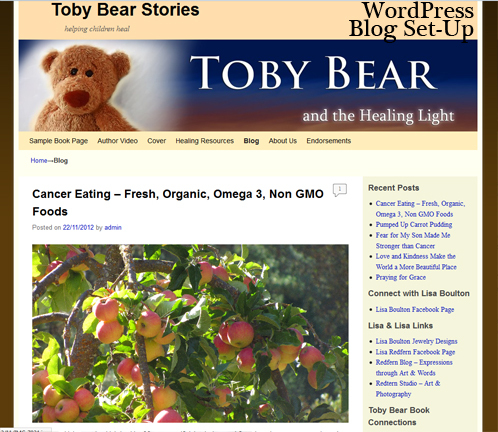 They also gathered data to set-up the TobyBearStories.com website and Facebook page that include resources for childrens yoga, healthy eating, meditation, care tips for cancer patients, a media kit and About the Author information. 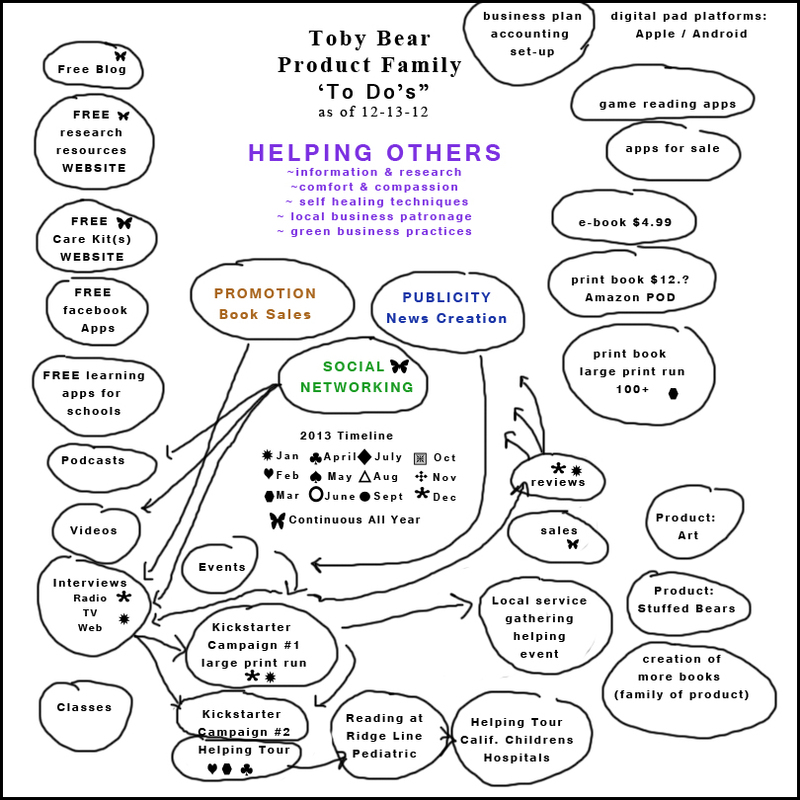 By June, the Toby Bear website and Facebook page had launched. The eBook, Toby Bear and the Healing Light, was published and available for sale on Amazon, Kobo, Barnes & Noble, Soney & Diesel in September. Although Redfern was reluctant to enter the print book market, Boulton convinced her that a continued need for physical product-in-hand existed. So they developed the manuscript into a format for print-on-demand (also available through Amazon). 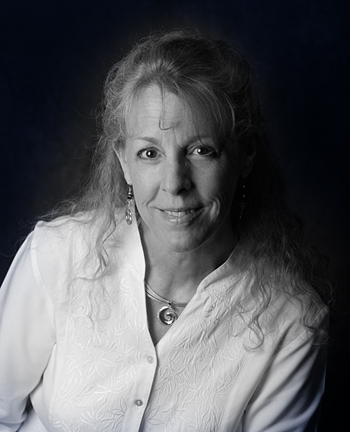 Lisa Boulton had her books in hand by Christmas time. “I was exuberant when I received my first shipment of books.” said Boulton, “The clerk at the Nevada City Post Office saw my excitement and asked me to open the box so she could see them too (there wasn’t a line behind me). It was a fabulous moment! We were both so excited to see the whole community beautifully represented in the book,” comments the author.